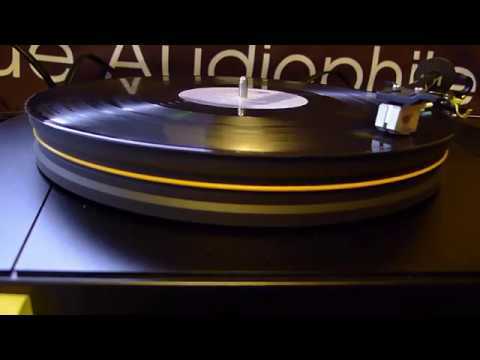 Home / Turntables / Music Hall 9.3 Revolutionary Triple Plinth Turntable. There is no part of the audio spectrum that stands out with the 9.3 in my system and draws attention to itself. Instead, you are just presented with the musical tapestry that was recorded. When I set the 9.3 up, I couldn't help think that it looked diminutive in stature. From the first LP I played, I knew that its sound was anything but diminutive. 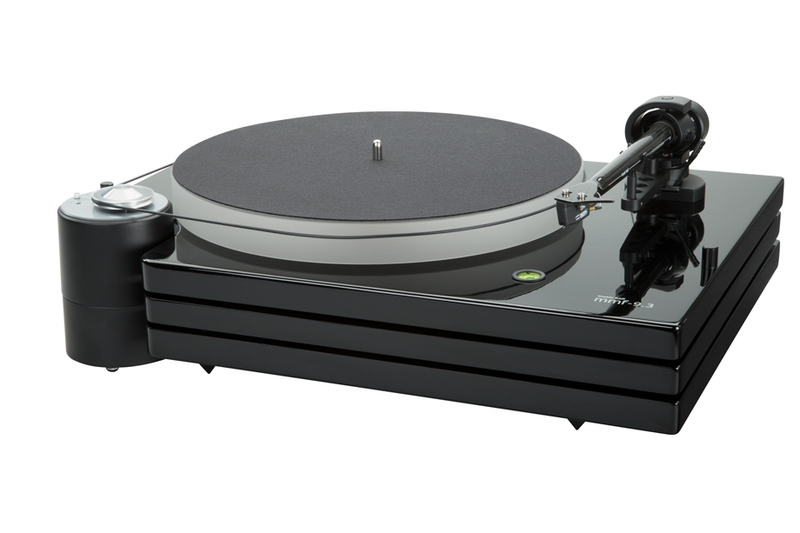 The 9.3 is also a very quiet turntable with regards to groove noise and if your records are up to the task, you will have will have your music emerge from a black background. The Music Hall mmf-9.3 turntable is a two speed, belt driven Audiophile level turntable employing the unique triple plinth construction originated by Music Hall. The mmf-9.3 comes in the new all Walnut or a high-gloss piano black lacquer finish. Its available with or without a Goldring Eroica LX cartridge. Note: this review is for the Piano Black version. Many swear the Walnut version actually sounds better..
How many times have we all heard the left-handed compliment about an audio component when someone says it sounds "really good for the money?" The inference is that even though it sounds really good, it doesn't sound all that good because it just doesn't cost as much as the high-priced spread. I'm going to get right to the heart of things and tell all of you that the Music Hall MMF-9.3 doesn't just sound "good for the money." The MMF- 9.3 sounds "good for any money." The MMF-9.3 turntable is the second from the top of the line in the in the Music Hall line up and it's only bettered by the Music Hall 11.1. 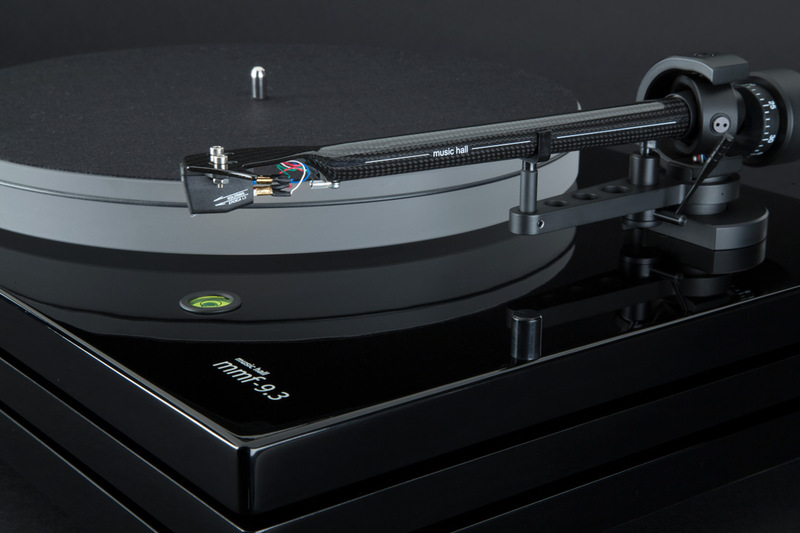 As you ascend the price scale in the Music Hall turntable stable, the number of layers in the plinth increases which also increases the amount of isolation from noise and vibration. The 9.3 has a triple plinth, and the motor/speed controller is isolated from the plinth so it doesn't transfer any vibration to the table, arm, or cartridge. For a detailed lists of all of the features and specifications, I highly advise you cruise on over to Music Hall's website and read all about it. I'm not going to take up the bandwidth to regurgitate it all here. The MMF-9.3 arrived in a sturdy box and was very well packed. And holy smokes, it actually comes with an owner's manual which is becoming all too rare these days. The 9.3 is packed with the tonearm and cartridge already mounted. Depending on your familiarity with turntable setup, you should have it up and running within 15-20 minutes of opening the box. Setup is very easy and straightforward and the owner's manual is very detailed. Once you land the plinth and screw in the feet, you remove the 3 transit screws from the top of the plinth, install the platter, level the table using the feet, land the motor/speed controller in position using the supplied gauge for correct belt tension and install the belt. All that was left to do was screw on the counterweight, zero balance the arm, set the tracking force scale to zero, install the anti-skate string and weight, and set the tracking force to the recommended weight of 1.7 grams. I double checked the accuracy of the tracking force when set by the counterweight against my digital scale and it was close. Now it was almost time to start playing LPs. Once the motor/speed controller is plugged in, a green LED on top of the motor lights up to let you know it has power. There are two other buttons, one on each side of the green LED and one is for 33 1/3 RPM and the other is for 45 RPM. I checked the speed with my KAB strobe mat and strobe light and both speeds appeared to be on the money. I also double checked the alignment of the cartridge with the supplied gauge and the cartridge was mounted correctly. To play an LP, you simply place the LP on the platter's felt mat, push the appropriate speed button and you will see the corresponding blue LED start flashing. It stays flashing until the speed controller has locked onto the correct speed and the light glows a constant blue. After that, you simply cue up the tonearm and drop the needle in the groove. Before I go any further, I'm going to tell you what the 9.3 was playing through in my reference system. The 9.3 was plugged into my Zesto Andros 1.2 phonostage which feeds into my ARC Ref 6 line stage, and then into my ARC Ref 75 power amp with KT-150 tubes, and then into my NOLA KO speakers and a pair of Definitive Technology Ref subs. I'm going to admit I had no idea what to expect from a table, arm, and cartridge combination that retails for $2300. Yep, you read that right, $2300 buys you a table, outboard motor/speed controller, carbon fiber tonearm, and a Goldring moving coil cartridge with a Gyger II line contact stylus. For those of you who believe in eyeball based expectation bias theory both positive and negative, I'm on record as not buying into the theory. Unless you are deaf, dishonest (or both), the truth is always the truth. To say I wasn't prepared for what the 9.3 delivered would be an understatement. 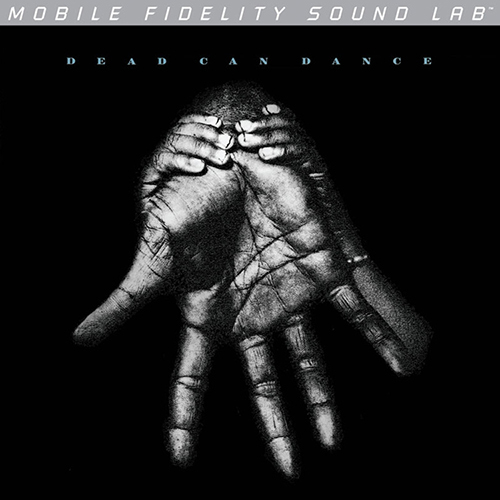 When I played the MoFi reissue of Dead Can Dance Into the Labyrinth, I started with the first cut "Yulunga." For those of you who know this recording, this cut has some deep and powerful bass that should pressurize your room if you have a system that is capable of playing into the bottom two octaves with authority. The 9.3 made me sit up in my listening chair and utter some words that aren't acceptable to say in public. It pains me to say this, but the bottom end from the 9.3 is simply more powerful and goes deeper than my current reference rig which consists of the Technics SP-10 MKII table, SME 312S arm, and the Dynavector XV-1S cartridge. Was I expecting that? Hell no. The 9.3 isn't just a one-trick pony in the bass. When you sit in your listening chair spinning LPs on the 9.3 and assuming the rest of the system is up to the task, you would swear that you were listening to some big rig table that cost more than you thought you could either afford or be willing to spend on a table. The 9.3 throws a huge soundstage which is tall, deep, and wide. I would say that your room and the rest of the gear will be the limiting factors on the size of your soundstage and not the 9.3. There isn't a single LP I played on the 9.3 that disappointed me. In fact, it was the opposite as every LP I played put a smile on my face. While I was at RMAF 2016 and sitting in the Magico room, I asked Alon to put on some vinyl. 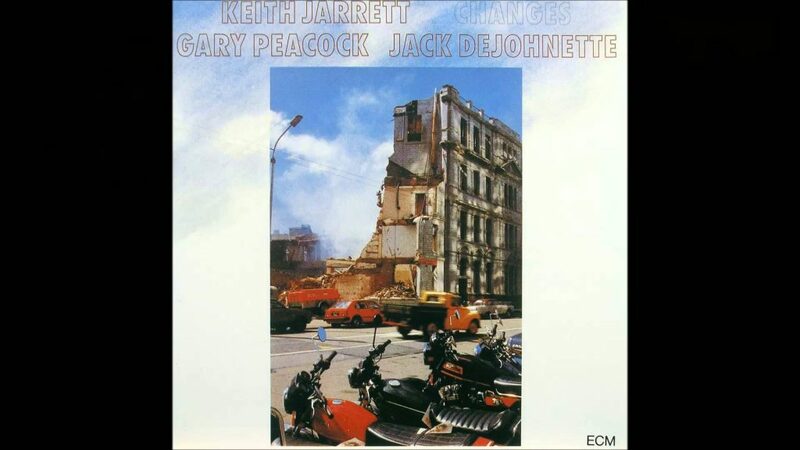 He whipped out a copy of Keith Jarrett Changes and proceeded to play it on the Kronos table. I happen to own this LP and have had it since shortly after it was released. I never remember it sounding as good and as crushingly dynamic as I heard it in the Magico room. I hadn't played Changes in a long time and there is usually a reason why that happens. When I came home from RMAF, I put Changes on the 9.3 and was wondering how it was going to sound compared to what I heard over the mega-expensive system Alon had put together for the show fronted by the just released M3 speakers. I simply couldn't believe how good Changes sounded when played back via the 9.3. And yes, all of the dynamics especially from the drum kit were there in spades. You have to give credit where credit is due, and Roy Hall hit it out of the park with the 9.3. I simply can't imagine there is another total turntable package on the market (table, arm, and cartridge) that can deliver this level of sound quality and power in the bottom octaves for anywhere near the $2300 price tag of the 9.3 rig. In fact, I'm still amazed at how Roy Hall pulled this off. If you are looking anywhere near the $2300 price range or even thought about spending more, you really owe it to yourself to hear the 9.3. It's a screaming deal-and not just because of the price, but because of what it delivers to you in terms of musical enjoyment and the amount of information it retrieves from the grooves. I would need eight more thumbs to give the 9.3 all of the "thumbs up" it deserves. Needless to say, the 9.3 is highly recommended.